Before you ask: Yes, I am still in space. The vacuum is very pleasant up here. It is endlessly quiet. Sometimes I get a bit of stardust in my eye. I’ve been trying to design some merch for TLW for a while now. 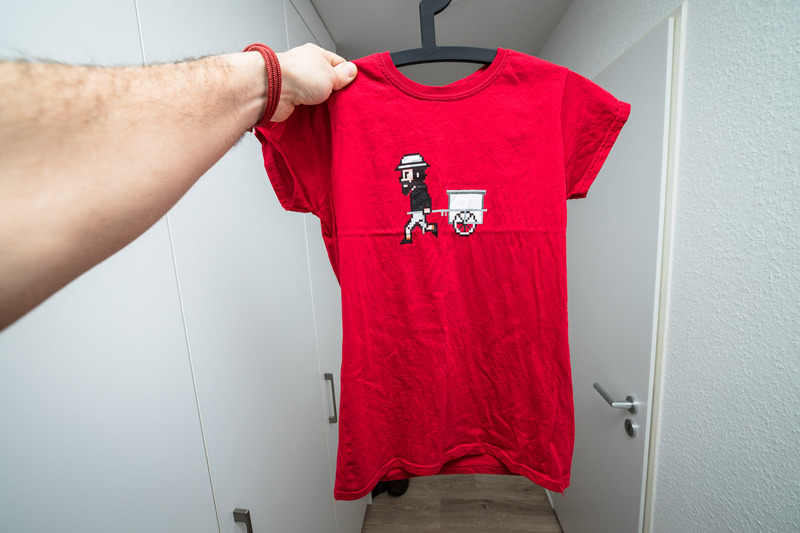 It’s been almost exactly 10 years since I uploaded the original weird beard video, and now I have finally made me some shirts! I got a pixel art design from the fabulous Counting Sheep Studio and slapped it onto some garments. 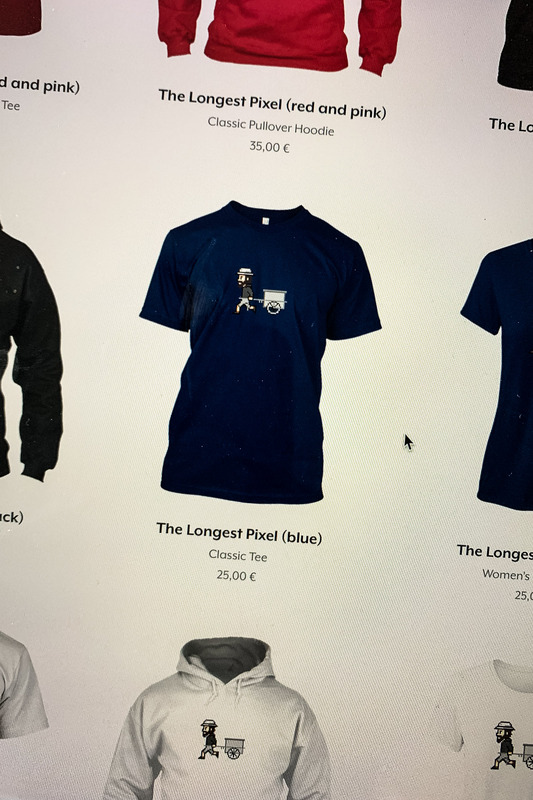 This means if you have too much money (or you really need something to wear), you can now get a The Longest Pixel men’s shirt, a women’s shirt, or a hoodie for yourself or your friends. It will take you to my Teespring page, which I am using because their garment quality is decent. Don’t be sad though if their shipping is sometimes be a bit slow (at least in my experience). If you get one, maybe you could send me a shot of you wearing it. 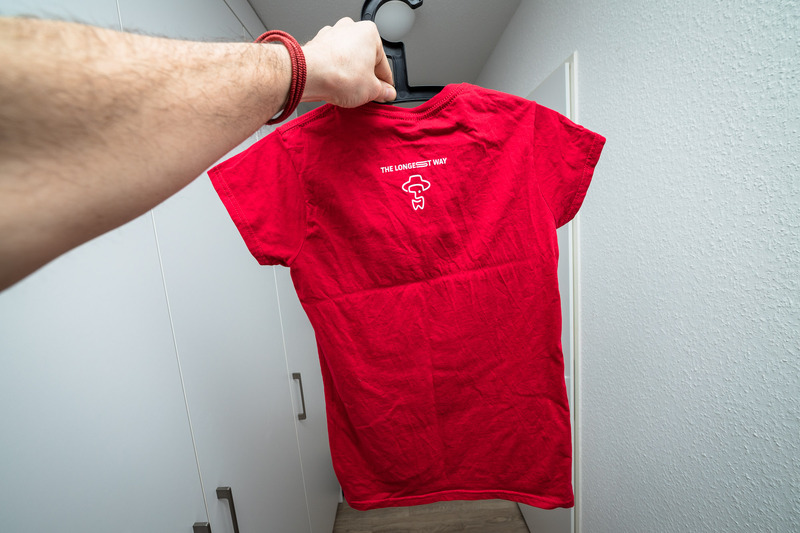 Tried different sizes on actual shirts. This logo size one seemed to look best. Neither have I money nor need, but I really want to have one as a memory, I am in Germany, can I send you my address?